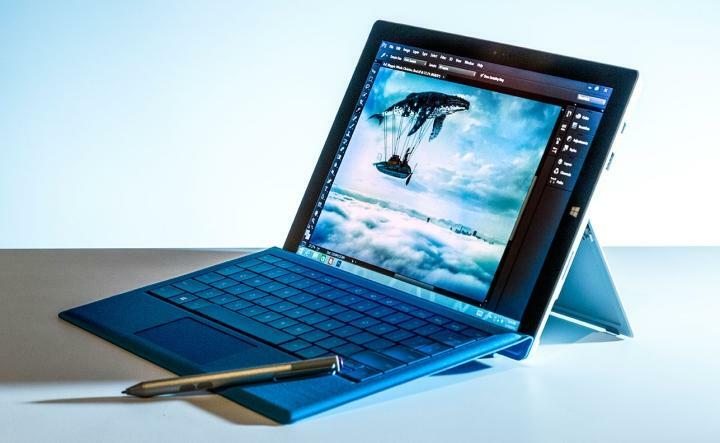 Microsoft's Surface Pro 3, scheduled to be sold in Australia from August 2014. Microsoft has confirmed that it will not change its Surface commercial sales model ahead of the launch of its Surface Pro 3 tablet in August. Existing distributors, Ingram Micro and Synnex Australia, will continue to supply the Windows 8.1-based ‘laptop replacement’ tablet to the resellers which stocked the previous generation of the product. The 13 commercial partners include Brennan IT, Computelec, Computer Systems Australia, Data#3, Datacom Systems, Dimension Data, Ensyst, e-Volve Corporate Technology, Insight Enterprises, Staples Australia, Scott and Hoare Business Computers, The Sommerville Group, and Triforce Australia. An improved kickstand hinge means the Surface Pro 3 can be tilted numerous ways. These resellers first gained access to the Surface September 11, 2013, about a year after the first generation of the device debuted in Australia, and before the second generation was launched. Microsoft controversially snubbed the Channel globally when the first generation of the Surface was launched, preferring retail and direct to market sales. Microsoft is calling the Surface Pro 3 a laptop replacement, and its form factor indicates a pursuit of the notebook market. It has a larger 12-inch screen (with a native resolution of 2160x1440), but is thinner and lighter than its predecessor. It has a specific emphasis on ergonomics by way of tilt improvements to both the tablet and its accompanying keyboards. The improved kickstand hinges sit the device at multiple angles, and the optional keyboard cover now rests at a slight angle rather than flat. The keyboard covers which can be purchased as optional extras. 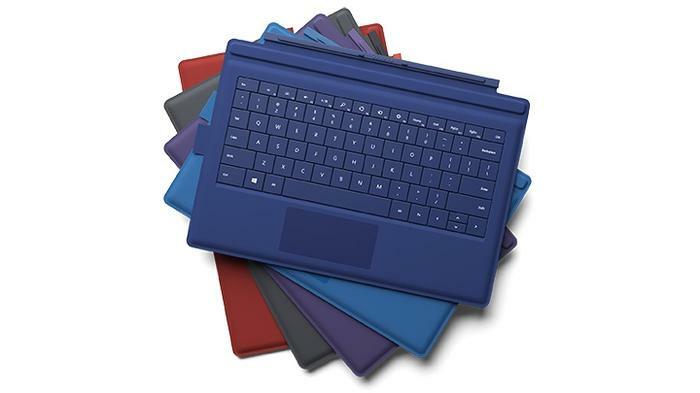 The Surface Pro 3 will be sold in various configurations. It uses fourth-generation Intel Core processors, and will be available in i3, i5, and i7 versions. This will be accompanied by up to 8GB of RAM and up to 512GB of internal mSATA-based solid state storage. Additional features include a microSD card slot, a full-sized USB 3.0 port, a headset port and a Mini DisplayPort. It also supports Bluetooth 4.0 and 802.11ac Wi-Fi, and will ship with a 256-level pressure-sensitive pen. Microsoft will sell the Surface Pro 3 in Australia at five price points ranging from $979 (i3, 4GB of RAM, 64GB SSD) to $2279 (i7, 8GB of RAM, 512GB SSD). The Surface Pro 3's optional accessories include: the Surface Pro Type Cover, an additional Surface Pen, an additional 36W Power Supply, a Pen Loop, a docking station and a Surface Ethernet adapter. Update: Microsoft has acknowledged that it forgot to include Trident Computer Services and Learning With Technologies in the initial list of Surface Pro 3 resellers it supplied. Both companies will resell the device, with the former to co-host its launch into the education sector beside the vendor. The Surface Pro 3 charging adapter.